The company reported another strong quarter, but it will need to look at other ways to continue growing ad revenue. 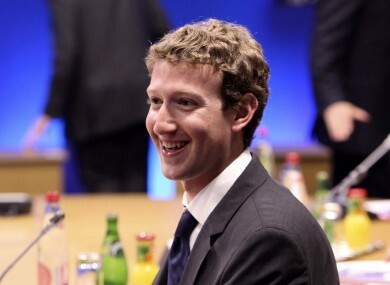 FACEBOOK REPORTED ANOTHER strong earnings quarter thanks to a significant boost in earnings. The company’s net profit jumped by 186% from a year ago to $2.05 billion (€1.84 billion) and total revenue jumped up to $6.4 billion (€5.76 billion). The majority of this came from advertising revenue, where approximately 84% of revenue came from mobile. But while advertising is where the majority of revenue comes from, the likelihood of it continuing this rapid growth becomes more difficult as it runs out of places to insert ads. Facebook’s chief financial officer David Wehner warned that revenue growth would begin to slow down because of this and Facebook would have to be “thoughtful” about how it mixes ads and content in the newsfeed. “The optimal ad load is really a mix of art and science,” he said. “We’ve carefully tracked the impact of ads on the user experience over the last several years and we aren’t seeing a cause for concern. We also want to be thoughtful about making sure each person’s overall feed experience has the right balance of organic and ad content”. We anticipate ad load on Facebook will continue to grow modestly over the next 12 months, and then will be a less significant factor driving revenue growth after mid-2017. Since ad load has been one of the important factors in our recent strong period of revenue growth, we expect the rate at which we are able to grow revenue will be impacted accordingly. Wehner said it was unlikely Facebook would decrease the number of ads on the service so it could charge more for individual ads. While including more ads isn’t a possibility, the company has been looking at ways to bring video ads, a lucrative area, into the service. Facebook has been pushing this by prioritising both autoplay videos and livestreaming in the news feed and will continue to do so. Facebook’s CEO Mark Zuckerberg said the big aim is to make Facebook a video-first platform while its chief financial officer Sheryl Sandberg mentioned the primary focus would be on “short-form content” instead of longer ads. While it ties into its advertising strategy, Zuckerberg said it would avoid pre-roll ads, those that appear before the actual video starts, as he believes people would watch fewer videos because of that. “We don’t need to do pre-roll because our model is not one where you come to Facebook to watch one piece of content,” he said “You come to look at a feed and putting the ads in-between the stories is a much more effective way to do it and better for the user experience”. Facebook’s continues to grow its userbase across all of its platforms. More than 1.7 billion use Facebook every month while 1.13 billion access it on mobile every day. On other platforms more than a billion people use Messenger and WhatsApp every month while 500 million people use Instagram. Email “Facebook says it's running out of places to show ads in your news feed”. Feedback on “Facebook says it's running out of places to show ads in your news feed”.